You must make reservations at least 5 minutes in advance of the time at Mistral King of Prussia. Welcome to Mistral Restaurant in King of Prussia Mall PA! Gather with friends, family or your special someone for an intimate culinary experience. 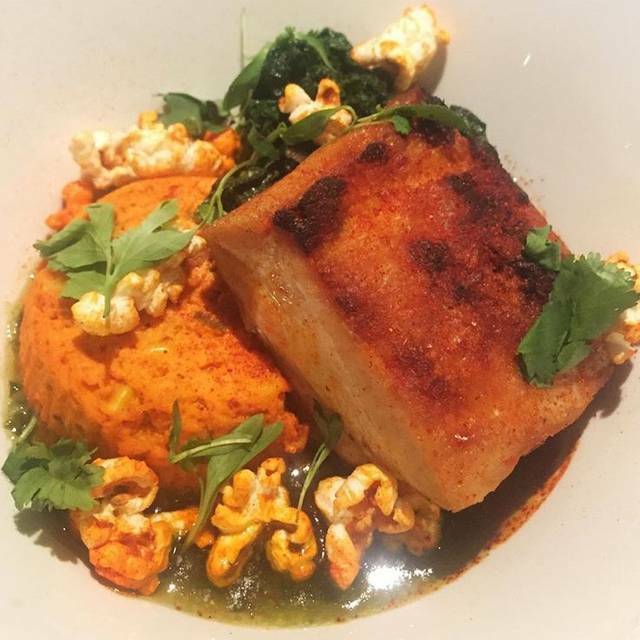 James-Beard Nominated Chef and Local Food Activist Scott Anderson is breaking into the Philadelphia market, bringing his seasonally fared Mistral restaurant to the King of Prussia Mall. Mistral opened its first location in Princeton, NJ in 2013, offering locals and passersby alike a stunning mix of taste, style and atmosphere. Food activists and culinary pioneer’s chef Scott Anderson and chef de cuisine Craig Poligano place a superlative emphasis on fresh, local ingredients, ultimately creating a progressive menu of seasonally curated small plates for guests to savor and share time and again. The salmon was good as was the risotto. Fellow diner raved about the poached pears for desert. The Bronzino was so so. Service was OK but nothing to write home about. Although fellow diners commented portions are small but Ok for me. Dinner was a little disappointing. Food was just ok.
Service was great. They were kind enough to remove an item of the bill that was pretty awful. In the end we really wanted to like Mistral but the food is not great. Nice bar, and friendly service but that's about it. The food is so well prepared at Mistral. I have never had even an average meal or dining experience there. The ricotta toasts are light and delicious, house made spritzer was refreshing and smoky caesar salad with chicken was really good. Hostess and wait staff always attentive, but not over attentive which we like. Ambience is darling and relaxed. One of our favorite places for dinner in this area. Mistral continues to be one of the most paradoxically dynamic and serene restaurants at the King of Prussia Mall. The staff is affable and skilled, the atmosphere is very lovely at any time of day, and the food is creative and delicious. Frequently our pick when we're in the region. Ordered a rare burger and it came out medium well. What else is there to say? Food portions were minimal. We went with 4 people. We were all laughing at our entree sizes. My husband's main entree was the size of a small appetizer. He was still hungry after an appetizer, beet salad, and fish entree. The chef sent out another appetizer for him for free. We had dessert and coffee and none of us felt full. The prices were high for what you get. Very small portions, but big price tags! Definitely not worth the money. The Beet Salad was filled with roots and not many leafs. My friend's had lots of leafy greens. We pointed this out to our waitress but it didn't go any further than that. Food portions were very small for the amount of money! Service was very slow! Server helping everyone else around us except us! Place was very nice and ambiance good. Fix those couple things and you have something. I came to celebrate my boyfriend’s birthday. I grew up in Princeton and was familiar with mistral. We even ventured outside of Philly (where we live) for the dinner. The ambiance was great! Our server, will, was personable and knowledgeable of the menu. We went with his recommendation for the lamb appetizer and it was amazing !!!! The sauce made the dish and we asked for extra which was promptly dropped off. We also had the smoke Cesar salad which was a nice mix of flavor. For entrees we ordered the burger which came out a perfect medium rare and the mushroom risotto which was melt in your moth delicious. For dessert we had the banana cake with the caramel and ice cream, which was my boyfriends favorite dish of the night, we also had the chocolate panacotta but it was too bitter for our liking. Overall it was a great experience. Mistral has been good enough for my wife and I to return many times. This was the first time for Sunday brunch. We each had only Tuna Poke that was delicious-a 5+. I know that Mistral is a small plate restaurant but the portions were too tiny for $16. I will choose more wisely the next time. We were visiting friends in Penn, and thought we would give thevolace a try, the night before. Never in ny years of dining, have u heard or experienced an establishment that ran out of three dishes and two menu drinks as early as 8:30. When the manager came, because we commented, she put a gift certificate on the table, before saying anything. WOW!!!! Third time at the kop location and each experience was better than the last. Love this place. The food was fantastic, as always. Our table was cramped - there were 6 of us at a table that should have only seated 4 . The people sitting in the middle had no elbow room and it was very uncomfortable. Our service was extremely slow. Drinks took forever to get. It seemed to me like our server had too many tables. He was trying his best but he was spread a little thin. 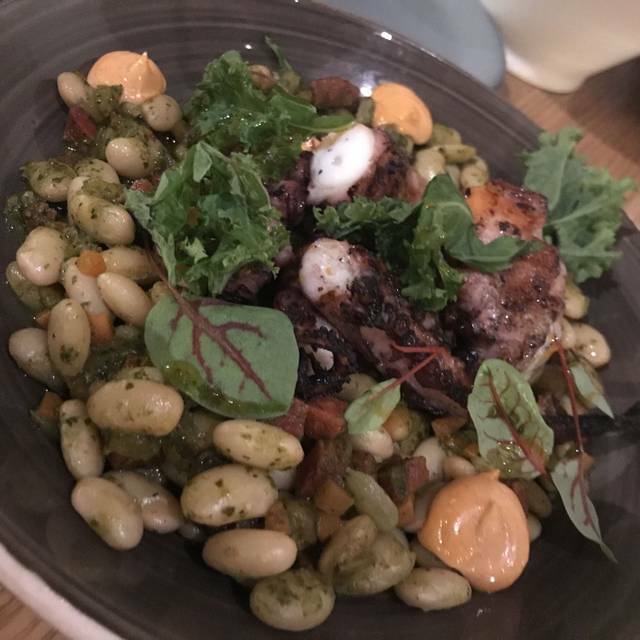 My wife and I went to Mistral during King of Prussia restaurant week because we had never been there before and wanted to see what it was like. We ordered the deviled eggs and beet salad for appetizers and both were very good. My wife ordered the chicken and I ordered the salmon and both were very flavorful and the portion size was just right. Overall, we enjoyed our meals and would go back again in the future. I went with friends during restaurant week so we could try Minstral since we had not been there. The rice 'bread' tasted very oily and when we asked about it, the server said it was fried. I felt I had just taken a spoonful of oil so it was not something I would want again. The poke appetizer and salmon main course were good, but small portions. The dessert was a dark chocolate panna cotta. The server came over and asked how we were doing. I honestly answered that I did not like the dessert and he said nothing. The next time he came by I asked if there was something I could do. He said they appreciate my feedback. This is a restaurant I will not go back to. I would go back to a restaurant where they would say regarding the bread:w e don't have other bread, but maybe we can find something else. ANd regarding the dessert: we are sorry you do not like it. We also have ice cream on the menu. Would you like that? It was not worth what I spent. Service very good, menu adventurous. Catching up with a friend and decided to meet in KOP. Can’t go wrong at Mistral. Food was all terrible. Salad included!! Place was EMPTY and this is Thursday night during restaurant week. We followed Mistral from it's beginnings as a very edgy BYOB in Princeton. 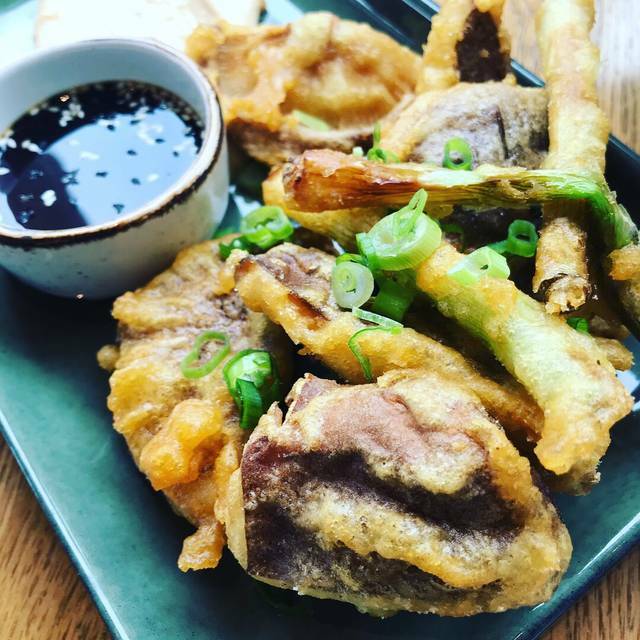 Once it obatained a liquor license, the food prices seem to creep up to the point that for a small plates concept, it became difficult to have a full meal without spending well over $100/person for rather casual fare. 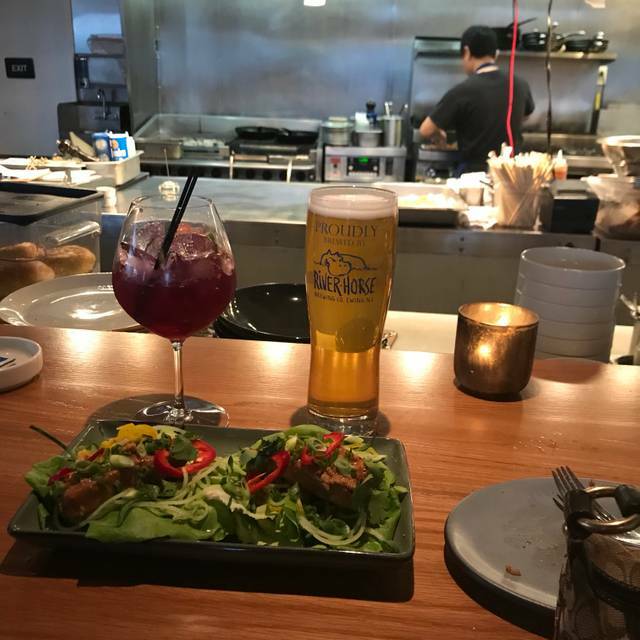 We stopped going to the Princeton location because there are 3 other restaurants in the Princeton area we really like that give a lot better value for our money. We tried it twice in KofP and we will not be back. The menu is very limited and not nearly as interesting as when we used to eat at the Princeton location. Our waitress was very not attentive, almost making an effort to serve all the larger tables near us and not our small table of two. We waiting about 20 minutes to get served water and an hour for our food. Once we got our food the burger and fries were cold probably because they were sitting and waiting for our waitress which was MIA. Dinner at Mistral was very disappointing. I would not return. To start they have "non alcoholic" beverages on the menu but fail to list sugar as an ingredient. As far as I am concerned this is very unacceptable. In addition, the service was very slow...no water refills...had to wait 20 minutes for check...waitress was simply unavailable. Food was boring and salty and lacked creativity. The person I was dining with had a burger and he thought it was good. But that didn't impress me. The atmosphere is like a cafeteria with a bar. Ask another server for another bottle of wine since our server was MIA. My short ribs needed better seasoning. After being seated, we waited 30 minutes with no contact from any staff, then waved down a server. Sat another hour before entrees showed up. I hope this was an aberration, since service at a previous dinner was fine. The menu is interesting an food is well-prepared. A little overpriced for the portion sizes. As always, best meal. The chefs are amazing and the food is excellent. Great service. 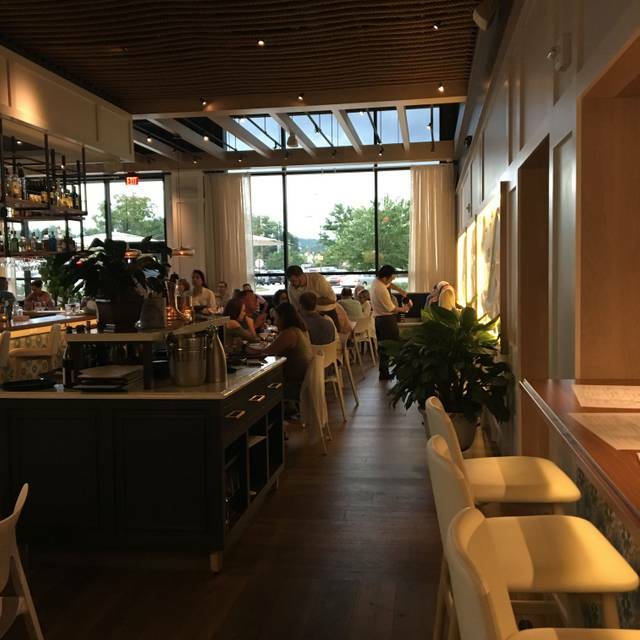 As far as restaurants at the King of Prussia Mall are concerned, I would recommend Mistral as it's certainly striving to be a bit more progressive and interesting than it's chain restaurant counter parts. Overall, the staff was nice and friendly, though service was a bit slow (in their defense, some members of our party were late, so this could've more than contributed to some initial delays). The menu is definitely more complex for that area and, again, for what we're used to seeing in and around the mall, though the food was under-seasoned, and portion sizes are fairly small considering prices. My friend and I each ordered the short rib entree, which is listed under large plates for $32, and literally received 2 under seasoned pieces of short rib, with brussels sprout leaves as opposed to full brussels sprouts, and very little of whatever else is listed as coming with the entree. Our other friends ordered the burger, which did look tasty, as well as the salmon entree and the fusilli. 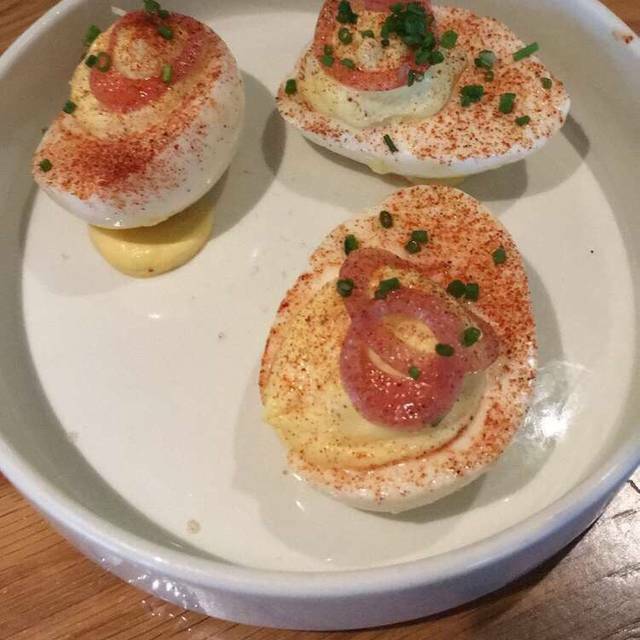 We also tried the deviled eggs, which are tasty, but didn't quite live up to the hype as our server really encouraged we try these and went on and on about how good they are. Overall, it was a pretty good experience, and I'm certainly open to giving Mistral another try. There are some things that could stand to be tightened up, but, again, I appreciate where they're at in terms of offering a more complex menu, wine list and cocktail list. 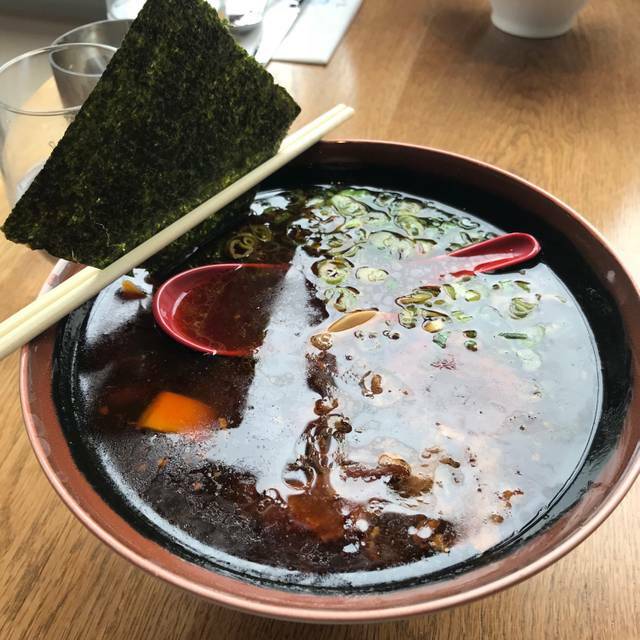 Definitely unique in terms of menu items, fusion of asian and American tastes. However most of the dishes were underwhelming in terms of flavor or boldness of ingredients. The Sichuan wings were not even mild much less spicy. The Shrimp beignets had almost no hint of shrimp flavor. The Salmon Poke was mostly avocado. 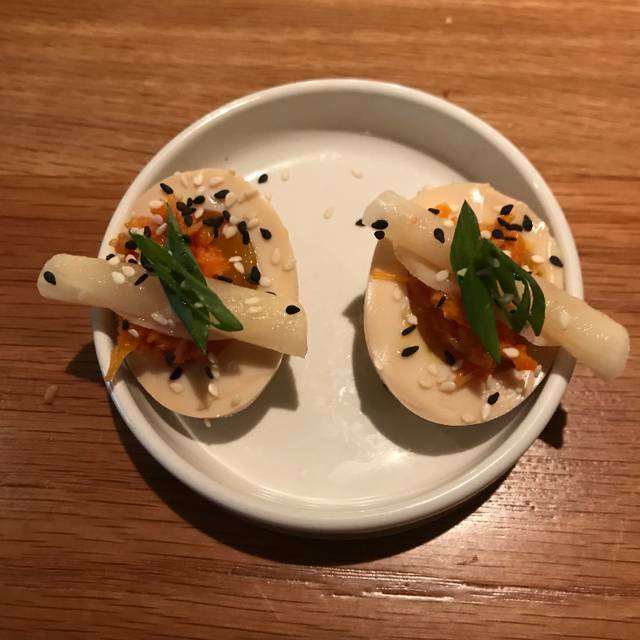 There were some nice touches like the fried tapioca crisps with the poke, but other than great presentation, good service and an intriguing menu, the actual final products were lackluster. I went with two other friends, two of the 3 felt the food was over salted. Two of the 3 felt their portions we're too small, especially for the price. Our drinks were mediocre and our service was poor. The building is beautiful though. Too much money, not enough food. We love Mistral and it was a great choice for a rainy Saturday Night not having to go into Philadelphia for fine dining. 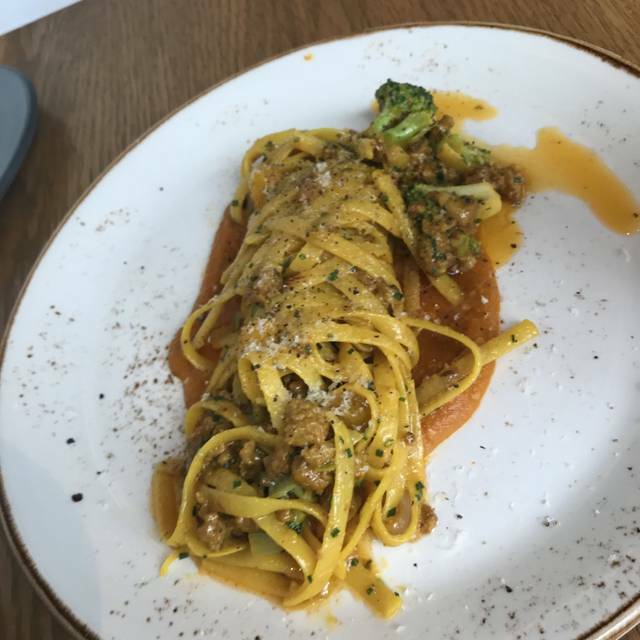 My partner is Vegan and the Chef made him a Vegan dish that he said was delicious. I loved my starter of Spiced Lamb but I was disappointed with the portion of the Chicken plate. I noticed other diners who had the same dish received larger portions. The last time we dined at Mistral KoP, the portions were rather generous but maybe that has changed back. We loved our Server Tiffany; very attentive and helpful. The food was very good and there were plenty of things to choose from on the menu. However, there isn't much atmosphere in the room, especially compared to the original Mistral in Princeton which has a much warmer vibe. Dinner was yummy! Thanks for the great service it was really friendly! And your restaurant is aesthetically pleasing. I was impressed with the service and ambiance. In that sense, I felt like the price point was worth it. On the other hand, the food, however beautiful, was not executed properly. I ordered the short ribs and they were over cooked and dry. Being in the industry, i felt as if they were sitting in a hot box for a couple hours. The outside was also charred, not seared. The presentation was top notch, just flavor and texture was off. I don't think I will be back. This was my second visit to Mistral. First was horrible and the second while better not impressive at all. The food was bland and unimpressive. Yes we were there for a fixed menu on Valentines day but this should mean the menu has been perfected. Not so. Short Ribs were flavorless on their own and the sauce was bland as well. The Bucatini was the best dish by far. Poached pear desert, the pears were hard and not edible. Portions were small which is fine but for this price point is high. The restaurants location definitely reflect the food. Mall fare for those who have been shopping all day.